The 2011 revolution in Egypt raised hopes that democratic institutions would replace Hosni Mubarak’s dictatorship. The recent removal of President Morsi by the Egyptian military and the violence on the streets that followed has instead left Egypt facing an uncertain future. 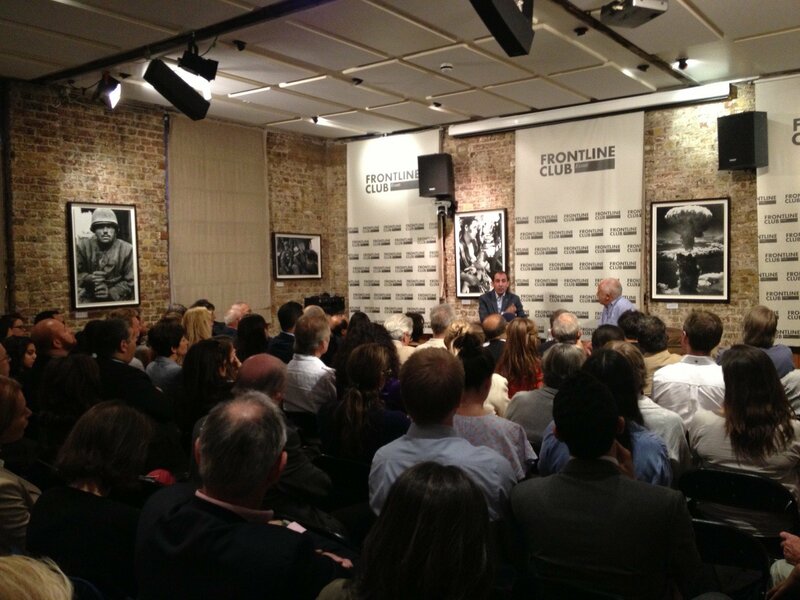 Jeremy Bowen, BBC Middle East Editor and renowned Egyptian journalist Yosri Fouda met at the Frontline Club on 12 August to attempt to shed some light on recent events and on Egypt’s political future. He also explained that the army had found the year-and-a-half period of directly administrating the country after the fall of Mubarak unpleasant and did not want a return to martial law. Bowen fielded a similar question on why Western governments had chosen to deal with the Muslim Brotherhood despite their alleged ties to terrorist groups and why Western media had chosen to frame Morsi’s removal almost exclusively as a coup d’etat.